The CCNA is a challenging certification and a rite of passage for thousands of networking professionals across the globe. Achieve the CCNA certification and you’ll be on track for a rewarding career in networking and a £40,000 salary (ITJobsWatch). 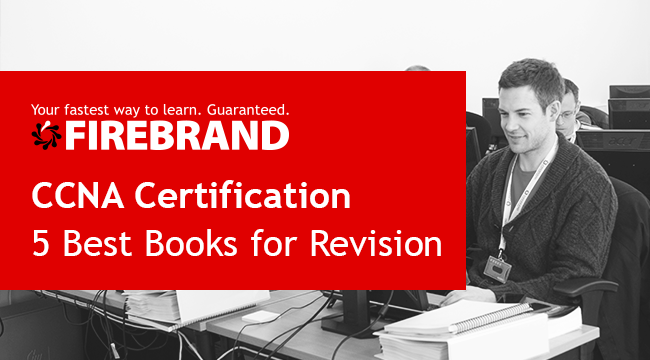 Read on for an in-depth review of the top 5 best CCNA books for exam revision, chosen by Firebrand Training. The newest edition of Wendell Odom’s wildly successful Official Cert Guide Library comes as highly rated as its previous edition. This CCNA book is one of the most comprehensive resources available for exam self-study. At the time of publication, Amazon reviews list this book as 5 stars with 21 customer reviews. 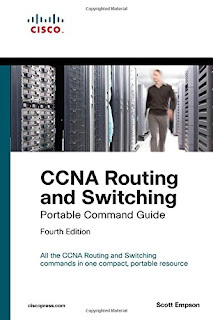 Without a doubt, this is one of the best CCNA books available. Learning the theory is no longer enough to pass your CCENT or CCNA exams. During these exams you’ll now be faced with several ‘live’ network issues that you must resolve. To do this, you’ll need specific techniques and skills. 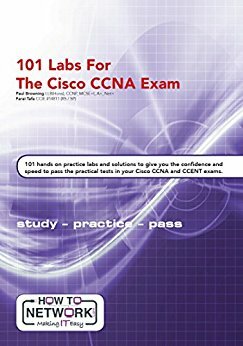 101 Labs for the Cisco CCNA Exam will help you quickly build the hands-on skills you need to get through both the CCENT and CCNA exams first time. This guide has also been updated for the new Cisco exams and curriculum. While not the best CCNA book on the marketplace, this accompanying resource will prove invaluable for students who want more practice on the ‘live’ exam questions. If you’ve been lurking around networking forums, chances are you’ve heard Todd Lammle’s name. Todd has authored over 25 books on Cisco certification and can even boast that his book sales have surpassed those of Cisco’s official publishing arm – Cisco Press. This book – updated in 2016 to cover the new CCNA curriculum – includes content on both ICND1 and ICND2 exams. Todd’s intuitive and knowledgeable approach is engaging and those new to the CCNA will find this book especially appealing. Special attention should be paid to topics like subnetting and route summarisation which are explained particularly clearly. Reviews for the newest version of the CCNA Routing and Switching Complete Study Guide are great – Amazon lists 19 customer reviews, with an average star rating of 4.6 out of 5 stars. Ultimately, Lammel’s easy-to-understand and to-the-point writing are great for those looking to get through both ICND exams. It is worth noting that you should expect less content and background reading than Cisco’s official offering. Despite this, Lammle’s contribution is certainly one of the best CCNA books available right now. 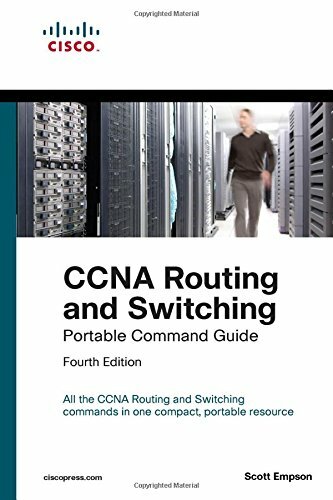 Published by Cisco Press, this CCNA revision book is condensed and brimming with valuable information. Within you’ll find all the Routing and Switching commands you could ever need in one condensed and portal resource. This book covers all CCNA certification Cisco IOS Software Commands, keywords, command arguments and associated prompts. 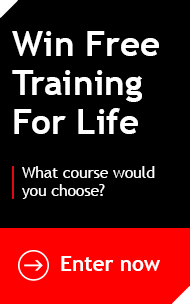 You’ll also get tips and examples of how to apply these commands in real-world scenarios. While this book won’t form the foundation of your revision, it will act as a valuable quick reference resource to help you memorise commands and concepts. This book has been received incredibly well. Despite Amazon UK only listing 5 reviews (albeit hugely positive ones), Amazon.com actually lists 37 customer reviews with an average rating of 4.5 stars. 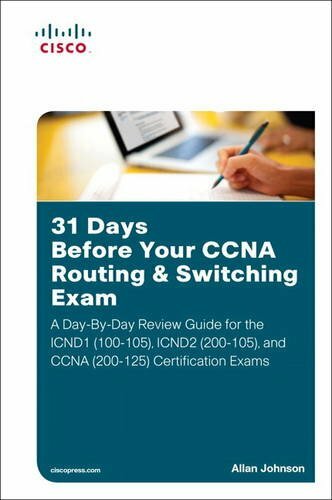 Updated in 2017 to cover the new CCNA curriculum, 31 Days Before Your CCNA Routing & Switching Exam is for students that can see already the finishing line. If you’re starting to fall to pieces with a month to go before your scheduled exam, this book aims to get you back on track. You’ll be using the book’s day-by-day guide and checklist to organise, prepare and review your revision in the days before your exam. 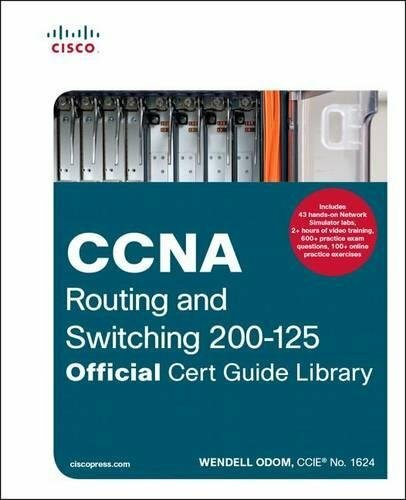 This book succeeds in providing a handy summary of everything you need to know for both ICND1 and ICND2 exams. 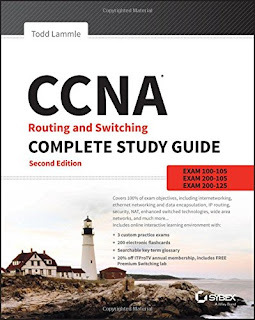 We recommend reading this book alongside one of the more comprehensive CCNA revision books, like Wendell Odom’s comprehensive Cisco CCNA Routing and Switching 200-120 Official Cert Guide Library or Todd Lammle’s CCNA Routing and Switching Complete Study Guide. While not many reviews exist for this book, the ones that do are overwhelmingly positive. Amazon lists four reviews with an average rating of 4.5 stars. The 31 Days to CCENT / CCNA doesn’t include the important practice exams and exercises found within Odom’s bulkier Official Cert Guide Library. But when used in tandem, these books can give you a real boost during the most important month of your revision. Even with the best CCNA book, not everyone has the distraction-free environment needed for effective self-study. If you need to kick-start your career in networking and get CCNA certified quickly, there is an alternative – take a look at Firebrand’s accelerated CCNA course and get certified in just 7 days.